In today’s economy, being relevant and competitive mean more than anything. With affordable website design & marking, small business owners have the power to get their share of the pie. RankSteady offers all the performance of the big firms, but at a third of the cost. Is your website design cluttered and not mobile-friendly? Call us today to make it functional & professional! Certainly, there is no shortage of website design & marketing companies in Tampa Bay who are far to eager to have you spend money on their services. We help small business owners by designing and building clean, functional and mobile friendly websites. Then, we market those websites so they achieve consistent search engine rankings for the services they offer and do it for less money. There are three locations on the first page of the search engine results page, also known as (SERP) where your small business website can be found. As a website building company, it’s our job to get you there. With most searches, someone types in a keyword or keyword phrase into the search bar and presses enter. Keywords and keyword phrases are nothing more than a question and the search engine is supposed to render an answer. The top ten most relevant answers or results are found on page one. To truly be viable today, your small business website should be found there, for the services that you provide and in the cities you serve. Pay Per Click Ads – This are paid advertisements that are found at the top and all down the right side of the page. Considered by many to be the, “commercials” of the search engine results. Local Business Maps – While not shown on every search, the map listings can help you generate revenue from customers who are geographically local to your company. Actual or Organic Search Results – Out of all the places to be found on page one, this area produces the greatest opportunity to generate new business. Only those websites that have earned the right to be found here get the chance to reap the rewards of it over the long term. The design of your website play a major role in your ability to generate new customer leads. From the time that someone enters your website, you have less than 4 seconds to grab their attention. If your current one looks cluttered or pieced together, kiss that potential customer goodbye. During the website development phase, we design websites to be functional, informative and most of all engaging. When someone clicks on your link in the search engines and comes into your website, our goal is to have three things happen very quickly. First, we want them to instantly see that you look reputable and professional. Next, our web design clearly shows the visitors exactly what they came to see. 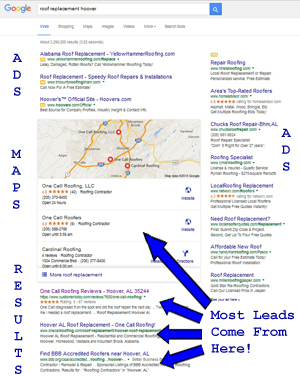 And finally, strategically place calls to action throughout the page to convert them into a new customer lead. 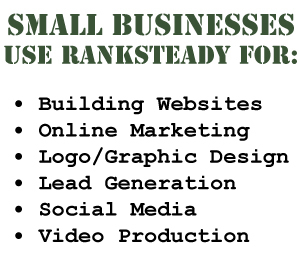 RankSteady is a website design, development and marketing company serving Florida, Georgia, Alabama and Tennessee.